As all know we suffered the worse hurricane ever to land in the Panama City area on 10-10-18. The area has significant damage from Panama City Beach to the big bend area east of Apalachicola, FL. Panama City Beach has some damage but is in the best shape of the areas east of here. There was heavy damage to some marinas but Capt Anderson's Marina, where we dock had some damage but is operational. 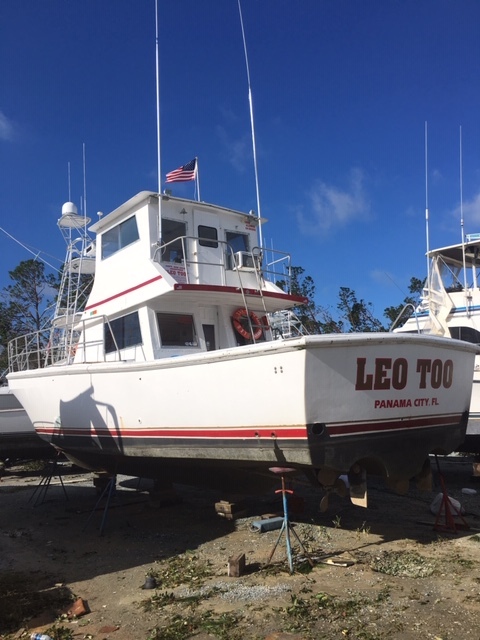 Several charter boats and headboats are either sunk or sustained heavy damage and it will be a while before they are back in service. 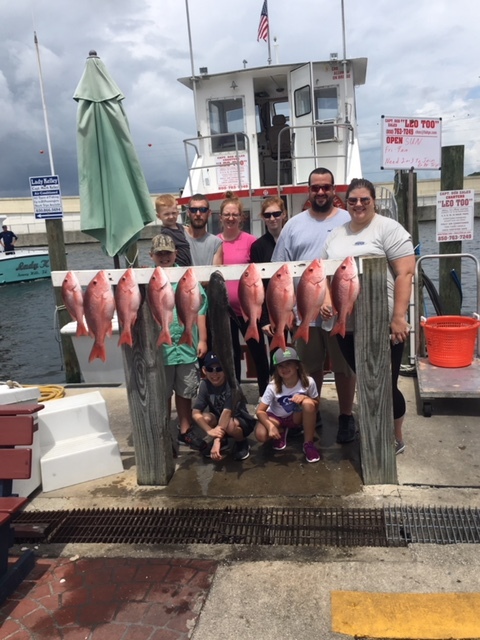 We were very lucky and blessed as the LEO TOO has no damage and as soon as we get her back in the water we are ready to fish. 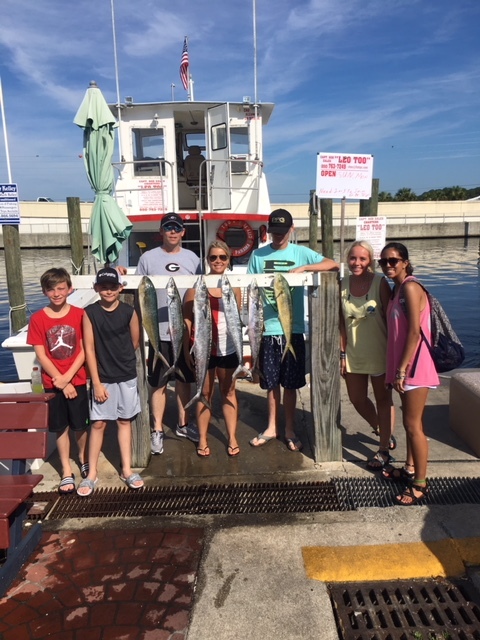 Please pass on to your friends and others that several boats at Capt Anderson's Marina are open for business. There are some places to stay on Panama City Beach but many hotels and condos are filled with first responders and many people here helping to rebuild the area. There are several restaurants open and amusements for family fun. The beaches suffered little damage so you can enjoy our beautiful beaches. 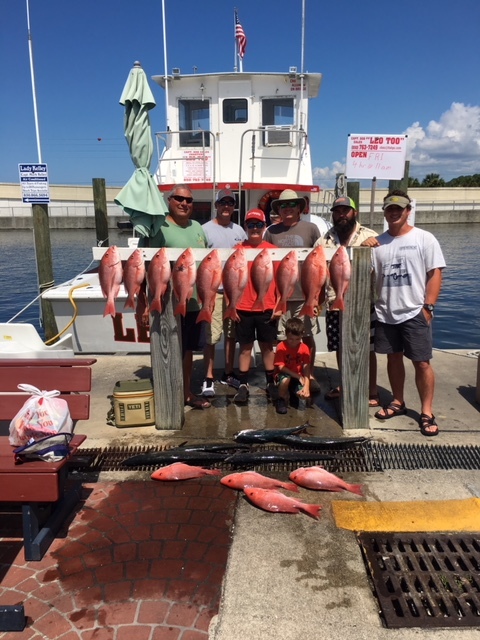 Please contact us when you are ready to fish. 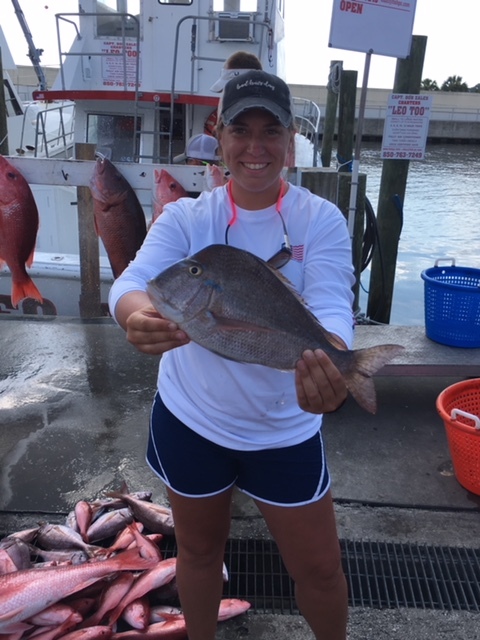 Greater Amberjack are still open plus vermilion snapper, groupers, and other reef fish. Contact us today and for all our past customers who have contacted us thanks for the support. 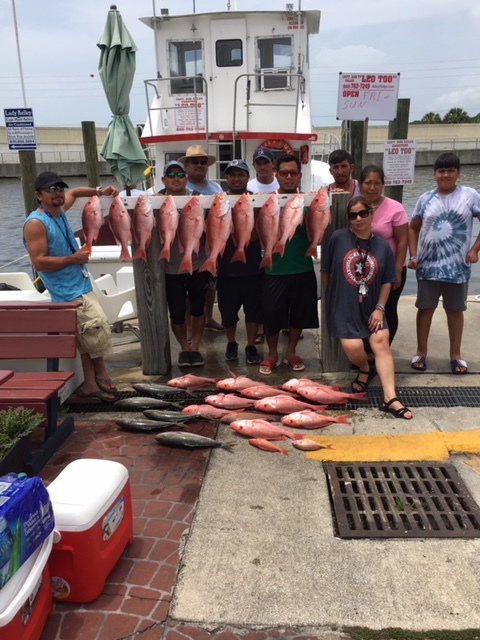 We look forward to y'all fishing with us again and look for any new customers who want to have a great time on the water. We are so thankful that our family and friends are still here and we will all be working to rebuild our homes and our community. 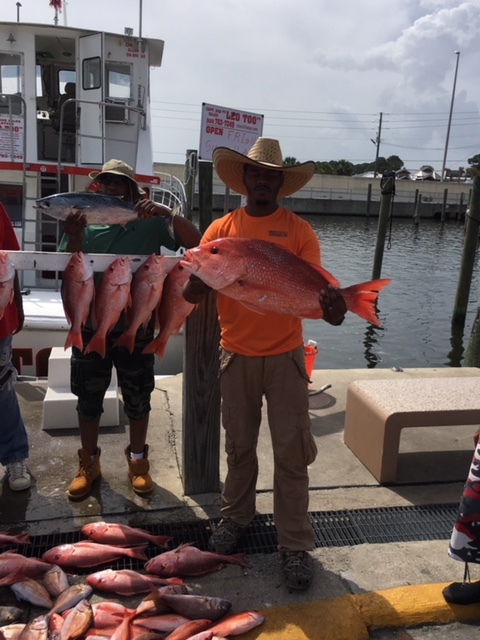 The 2018 red snapper season has ended. 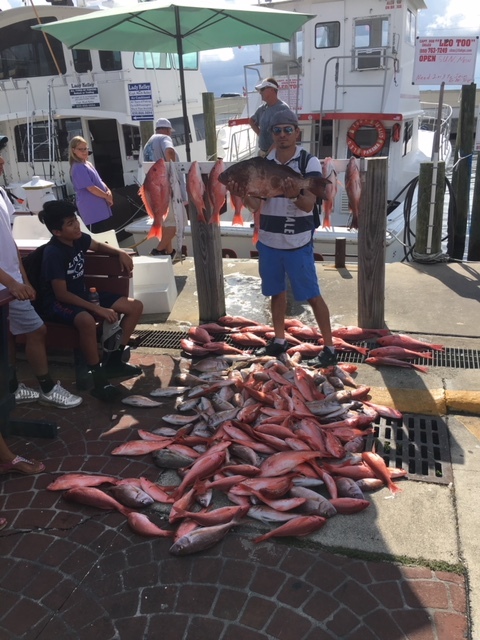 It was 51 days of great charter fishing off Panama City Beach, FL. 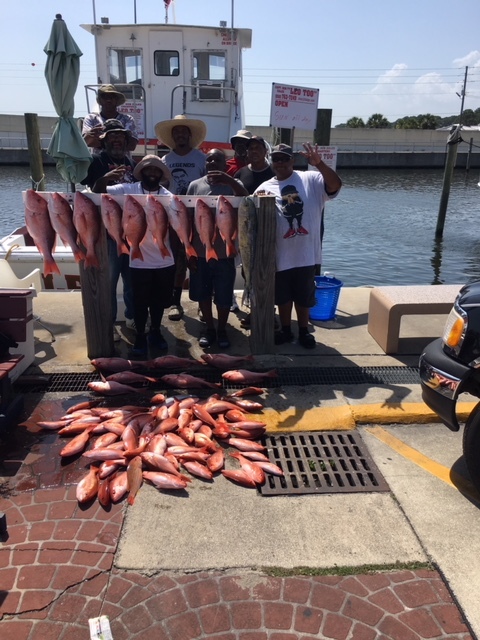 Here are pictures of some of the great catches we had. 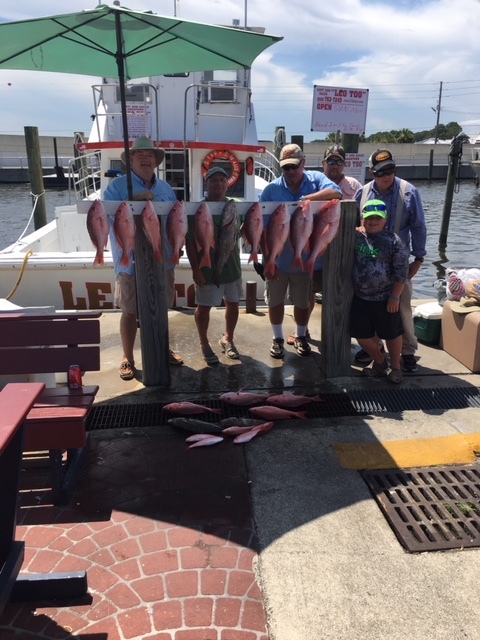 August 1st greater amberjack and triggerfish open. 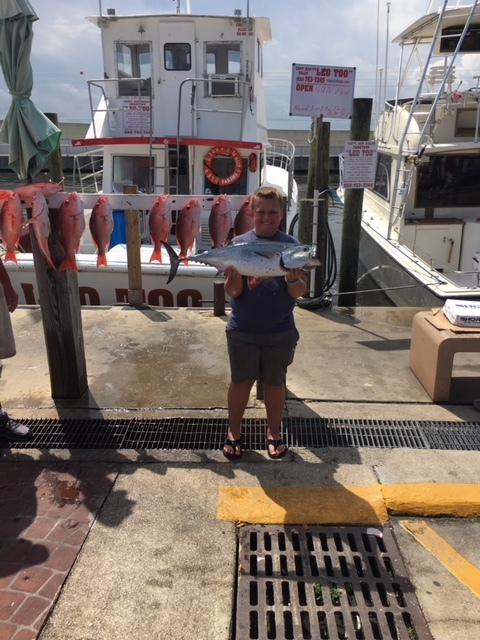 Fishing for these fish should be great. 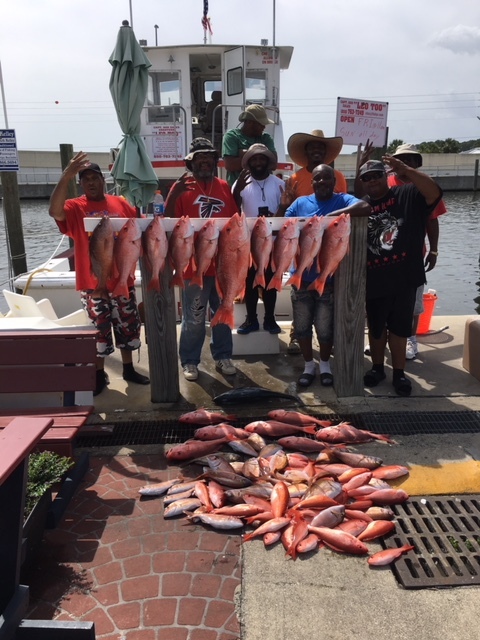 We exepct good weather just like the weather we had for red snapper. 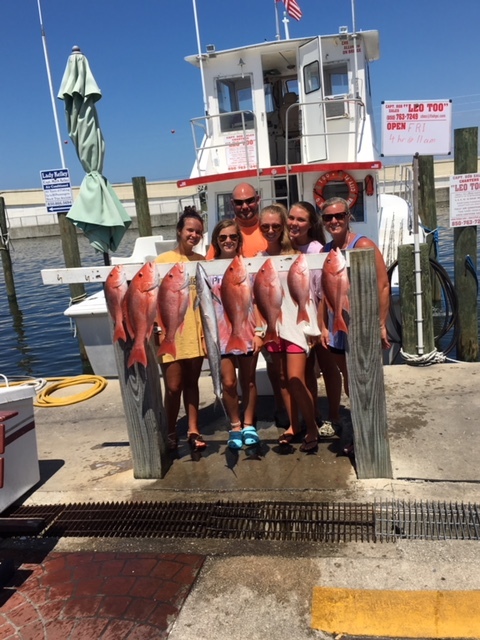 Call today to book your trips in August, September, and October. 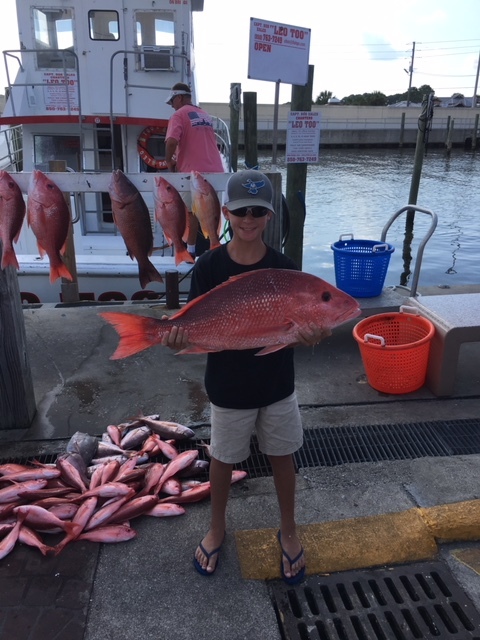 Charter fishing for red snapper has only 13 days left. 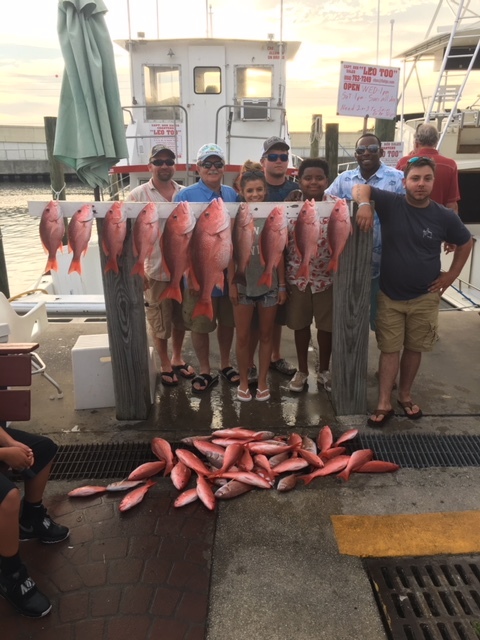 We have some openings the last week from 7-16 thru 20 so call today to reserve your charter fishing trip in Panama City Beach, Florida. 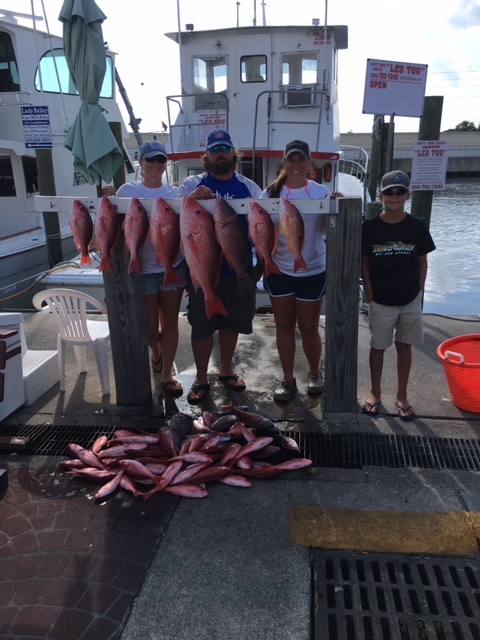 We have the worlds most beautiful beaches and Florida is the Sportfishing Capitol of the World. 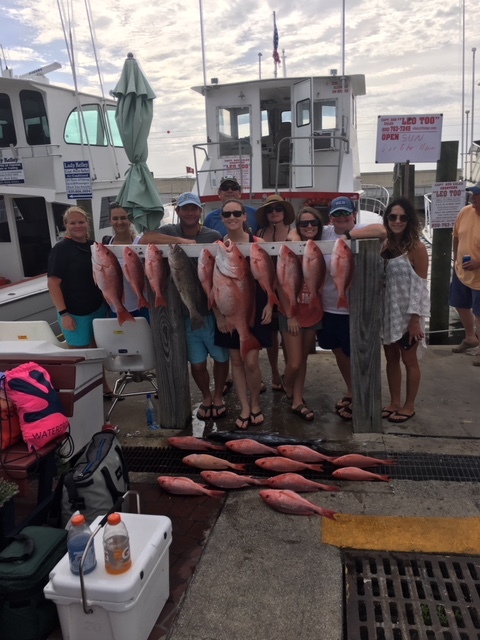 Red snapper fishing, as you see from the attached pictures, has been great. 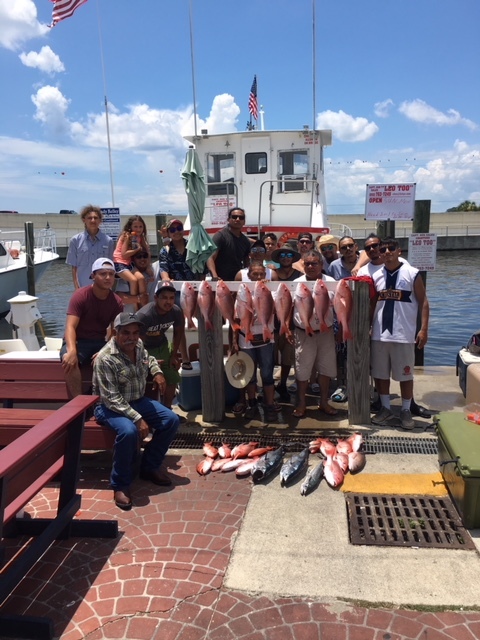 Greater amberjack and trigger fish open on August 1 so plan to go catch some. 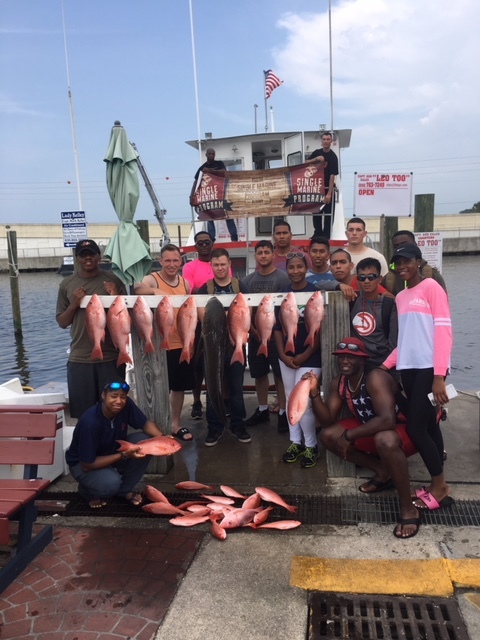 Call today to reserve your charter fishing trip for amberjack and trigger fish. 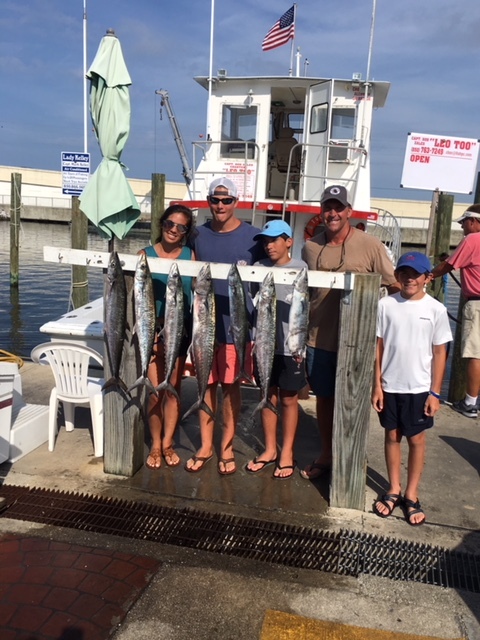 There are big amberjack and trigger fish waiting for you to catch. 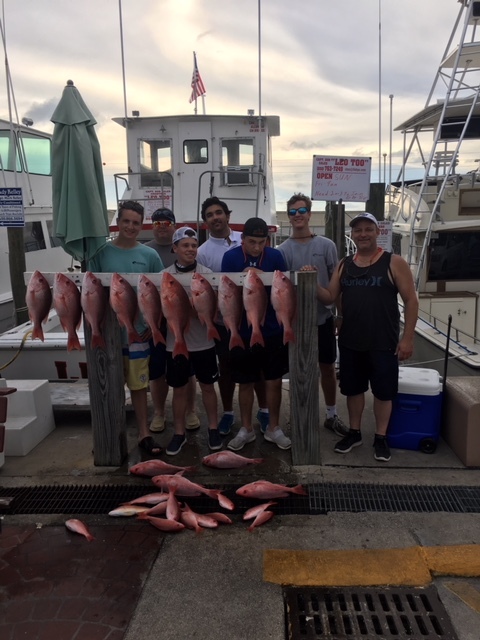 Call today for reservations for your charter fishing trip and visit Panama City Beach. Payment for charter is due in full prior to vessel departing on trip.A cash deposit or valid credit card number is required to reserve a future day and time for a charter trip.If a trip is cancelled prior to 96 hours till departure, a full refund of a deposit will be made.If a trip is cancelled within 96 hours of departure, 100% of total fare is due to the company. 1: the vessel reserved is rehired by another party for the same type of trip. 2: the Captain determined inclement weather would have prevented thevessel from departing. 3: vessel is unable to depart due to mechanical failure. This policy remains in full effect and may be viewed at any time aboard any vessel owned or operated by the company.